The white-fronted capuchin is a species of capuchin monkey, a type of New World primate, found in seven different countries in South America: Bolivia, Brazil, Colombia, Venezuela, Ecuador, Peru, and Trinidad and Tobago. 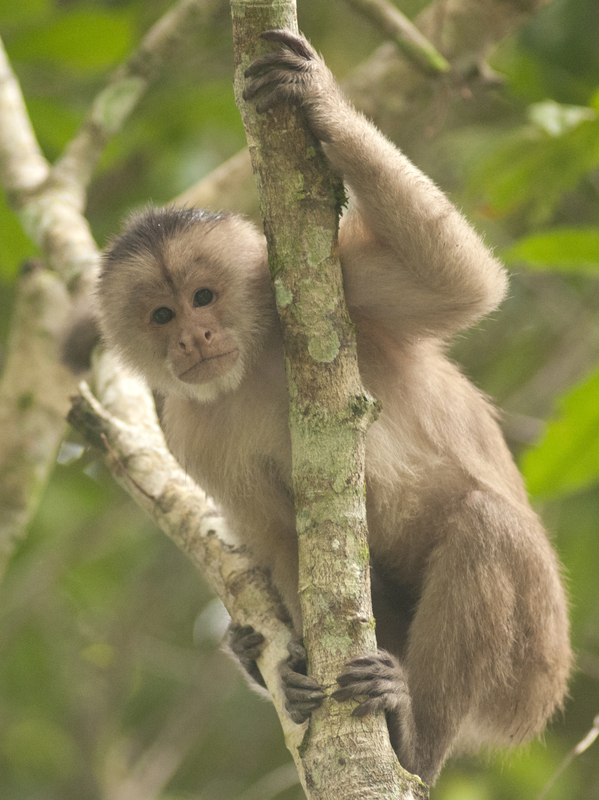 Like other capuchin monkeys, it is omnivorous, feeding primarily on fruits, invertebrates, other plant parts and sometimes small vertebrates. It is predated upon primarily by raptors and probably small cats, especially the Margay, though snakes have been known to attack the species. It is a polygamous animal and lives on fairly large groups of 15 to 35 individuals, reproductive females give birth to a single young at biennial intervals.